It is time for the Summer games again! I love watching all of the competition, drama and pagentry. 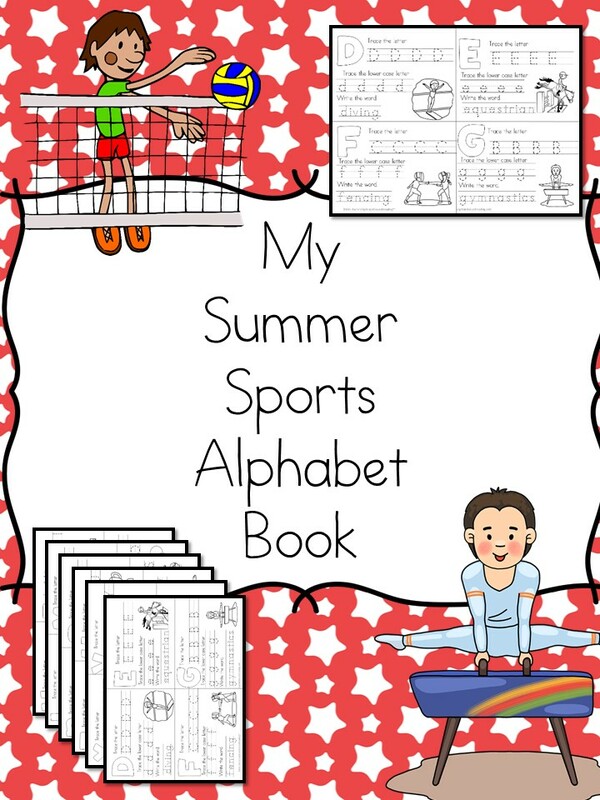 Today I have a Free Summer Sports Alphabet Book for you. 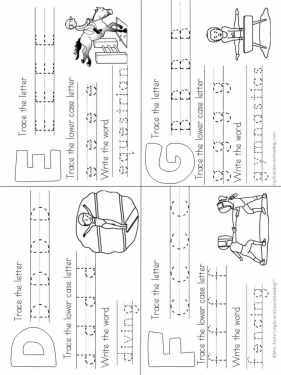 These Summer Sports coloring pages -that go along with the worldwide sports competition that happens every several years also will help reinforce handwriting skills because with each letter the child can color the letter and then write the upper case and lower case letters. PLEASE NOTE: These are not official Olympic Games coloring pages. These are just coloring pages Sports on them to help children learn about the different summer sports that happen during the Summer Games! At the same time, they also learn the alphabet and the sounds that the letters of the alphabet make. In addition! Students learn cutting and coloring fine motor skills! Students can cut along the dotted lines of the book and make a cute 27 page book (title +26 letters of the alphabet) with words like A for Archery and V for Volleyball. Here is an example of what your alphabet book looks like. To get your free Summer Sports Alphabet Book, enter your email into the form below. You will be added to our email list. You can unsubscribe by following the directions in the email with your freebie – (or by clicking on the unsubscribe link in any email you get from us). If you have any trouble with your freebie, please email me at [email protected] -I am happy to help. Thanks! Thank you for sharing this book, I can’t wait to see it and use it with students! Go USA! Thank you for sharing the free Summer Olympics Alphabet Book and Coloring Pages. I look forward to incorporating these resources into my first weeks of school activities to excite the minds and hearts of my new Kinder Bears. This is great however some of the trace letters don’t match up with given letter. Hi there, Sorry you are having trouble. I just sent you an email. Let me know what you are seeing that is wrong and I am happy to correct. I just looked at the copy I have…and I see everything correct. I can send you this copy…(and I am uploading again to the site)…but, I want to make sure I did not miss anything. Thanks! I have attempted to download this twice and resubmitted my information. I am still not receiving an email though. Hi there, So sorry you had a trouble. I just sent you an email with the activity. Enjoy! Let me know if you continue to have problems with downloads.